The People’s Progressive Party has failed to pay $13,561,676 million which it owes the National Communication Network (NCN) for political ads that were aired in the run-up this year’s General and Regional Elections. Stabroek News was informed that the payment deadline was June 19. While the PPP has not refused to pay, neither has it indicated an intention to pay any time soon. 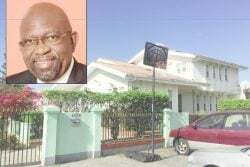 This publication was told that Marketing Manager Raymond Azeez wrote to the party on two occasions: first to Zulfikar Mustapha on May 27 and then a second time to the party’s General Secretary Clement Rohee on June 11. The second letter was said to be a “gentle reminder” that the outstanding payment needed to be made by June 19 and that there had been previous attempts by the NCN to collect the outstanding sum. Stabroek News was told that the both of the letters would have been received and signed for. At the party’s weekly press briefing at Freedom House yesterday Rohee did not confirm that he received a letter from NCN. 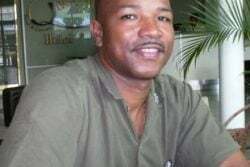 He stated that it was the internal accounts department of the party that would be dealing with such matters, but when the Stabroek News inquired who in the accounts department to speak to Rohee said those were internal matters. 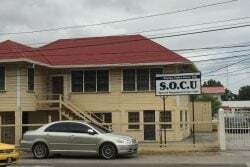 He said he would not be disclosing the amount owed, but did state that “we have sums outstanding for quite a number of persons.” The party had previously made it known to the NCN that it was currently tabulating outstanding payments. Stabroek News understands that Chief Executive Officer, Molly Hassan will be charged with making a decision on how to proceed with the PPP’s arrears and whether any penalties will be applied to the outstanding amount.